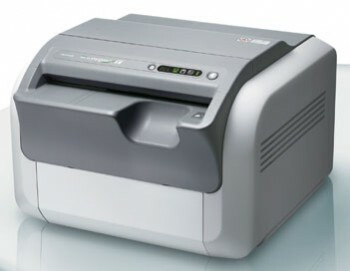 Amber Diagnostics provides quality used and refurbished medical imaging equipment worldwide, and strives to provide professional support with quality services custom fit to the needs of clients. Amber Diagnostics specializes in advanced medical imaging technologies including Bone Densitometers, C-Arms, C-Arm Tables, CR Systems, CT Scanners, Digital Mammo- graphy, Mobile Trailers, MRI Scanners, Portable X-Ray, Rad/Fluoro suites, Digital Radiology Rooms, Ultrasounds, and Urology suites. Amber Diagnostics has the experience and capacity to complete system de-installations, crating, shipping, full refurbishment, digital upgrades, room design layouts, and installations of all medical imaging systems. With over 20 years of service, Amber Diagnostics has extensive resources to support worldwide domestic shipping and installation procedures for all medical equipment. Located in Orlando, Florida, Amber's 25,000 square foot refurbishing and reassembling facility houses an extensive inventory of imaging parts, complete systems and radiology supplies. For more information on Amber's quality services custom fit to the needs of today's growing health care industry as well as their professional support, call the company, email them at Info@AmberUSA.com or visit their website. 20 years ago the BENNETT™ 100 kHz high frequency x-ray systems set a standard in chiropractic radiology. Utilizing this technology to create greater penetration at lower patient dose has allowed HCMI to become a profession leader. 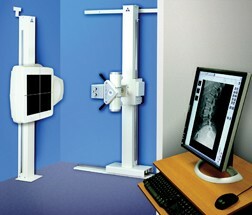 HCMI has re-released the Bennett Renaissance Series Chiropractic X-ray system. Releasing this series has once again established HCMI as a profession leader in quality, technology and innovation. For over 20 years, HCMI has been providing quality equipment to the Chiropractic profession. When HCMI launched the DCX Direct Digital X-Ray system in August of 2005, they made history reaching a very important milestone in Chiropractic radiology. With over 100 DCX systems installed, this technology is rapidly becoming a standard in digital imaging. 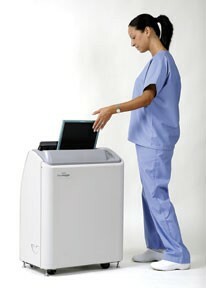 The Bennett Renaissance DCX Direct Digital system offers several tangible benefits to the chiropractic practice. The first and most important benefit of digital technology is the elevated quality of patient care. Due to the range of the digital receptor, the doctor has the ability to discover pathologies that might be missed with less sophisticated technology. This provides the clinician with a better diagnostic tool that provides for an immediate and precise diagnosis. At the same time, the short exposure time and the reduction in re-takes increases patient safety due to the fact that radiation dose is reduced by as much as one third without sacrificing image quality. Digital radiography eliminates film use and more importantly, it eliminates the need for dark rooms and storage space, the processing and disposal of chemicals, and time-consuming film duplication. The electronic format makes filing and file retrieval much more efficient. All of these factors need to be considered when contemplating a digital solution. FUJIFILM Medical Systems USA Inc.
From their FCR Prima to the FDR D-EVO™ Wireless, FUJIFILM Medical Systems USA (Fujifilm) provides the healthcare community with a full suite of digital imaging product options to fit the individual workflow and imaging requirements of any facility or practice. Fujifilm offers an extensive line of CR (Computed Radiography) and DR (Digital Radiography) products including single and multi-plate CR, digital portable systems, dual detector room replacements, and flexible single detector U-arm systems. Their FDR D-EVO Wireless, the latest edition to Fujifilm's D-EVO family of flat panel detectors, offers a completely cord-free version of its lightweight cassette detector, the FDR D-EVO, providing chiropractic practices with even greater ease of positioning as well as enhanced flexibility for use in a wider variety of imaging applications. Both the FDR D-EVO and the FDR D-EVO Wireless are 14" by 17" flat panel detectors that can easily and cost-effectively convert any analog room to digital with a seamless direct fit into existing table or upright systems. Headquartered in Stamford, Connecticut, Fujifilm is world-renowned for delivering outstanding image quality and reliability, along with dependable service. A pioneer in digital x-ray with nearly 40 years of expertise in the radiology market, FUJIFILM Medical Systems USA has the experience, technology and vision to successfully lead its customers in the challenging health care environment of the 21st century. Visit www.fujiprivatepractice.com for more information. FCR Prima T2 has been designed for private practitioners with low volume imaging environments. Small, light and fast, it has everything a smart private practice wants in digital x-ray. At just 86 pounds and with a footprint of only 3.2 square feet, it is one of the smallest tabletop CR systems available. Prima T2 stands out for its combination of price, speed and superior image quality. Its throughput ranges from a rapid 47 to an outstanding 73 images per hour depending on cassette size. Its 100-micron images provide impressive resolution while Fujifilm's processing technology ensures your first image is ideal. Prima T2 is available with the FDX Console, Flash Lite IIP and FCRView workstations. The FDX Console is Fujifilm's most cutting-edge acquisition workstation, designed to streamline the operation of digital image acquisition products, and features its most advanced image processing: Dynamic Visualization. The Flash IIP Console is an innovative workstation that includes powerful productivity-enhancing tools, enabling your staff members to operate more efficiently. The FCRView is a complete image management solution that provides users with a comprehensive set of tools to acquire, view and archive images all from one workstation. A pioneer of digital x-ray, Fujifilm has years of experience in delivering renowned image quality and image processing. From their FCR Prima T2 to the FDR D-EVO™ Wireless, Fujifilm offers a full suite of digital imaging product options to fit the individual workflow and imaging requirements of any healthcare practice. 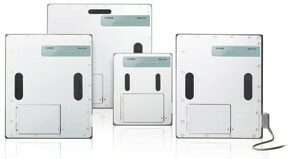 FUJIFILM Medical Systems U.S.A., Inc. has introduced a new line of affordable and versatile digital x-ray detectors, the FDR D-EVO™ P-Series panels. In an effort to provide private practices a cost effective path to DR, Fujifilm designed the FDR D-EVO P-Series x-ray detectors to help meet business needs of healthcare professionals while providing a high-quality, affordable solution. The new FDR D-EVO P-Series panels feature engineering innovations which achieve dose efficiency improvements averaging 30 percent compared to Fujifilm CR. Completely portable, the FDR D-EVO P-Series panels are light and can quickly turn an x-ray room into a DR room with incredible versatility. There is also no need to re-work existing equipment because FDR D-EVO P-Series panels fit existing standard buckys and holders. FDR D-EVO P-Series panels feature Fujifilm's exclusive, patented ISS (Irradiated Side Sampling) technology which provides ultra-sharp imaging with extra low dose capability. 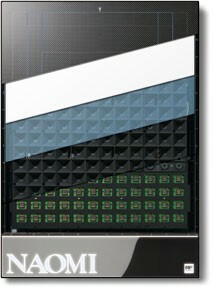 This exclusive design captures the x-ray image from the incident/patient side of the detector, in contrast to traditional designs which capture the image below the scintillator layer, thus reducing the distance for light data to spread and blur, capturing the image where it is stronger and sharper as it was intended. FDR D-EVO P-Series panels feature SmartSwitch technology which works independently of the x-ray system to automatically sense exposures and capture images. This simplifies equipment compatibility and facilitates sharing detectors between multiple rooms. ImaSight Inc. is a developer and supplier of innovative digital radiography solutions for human and animal health care, founded in 2001 to respond to the need for an all-digital x-ray system that delivers hospital-quality images at an affordable price. They provide medical professionals, chiropractors and veterinarians with some of the best digital radiography solutions available today. The ImaSight sensor uses the charge-coupled device, direct radiography (CCD-DR), which combines the best technologies of photography, radiography and image processing. In 10 seconds, you can obtain a crystal-clear x-ray image ready for diagnosis: 16-bit pixel sampling, 80-dB contrast, 4.6 lp/mm (0.108 mm pixel resolution) and 16-megapixel ultra-high-quality sensor. ImaSight created its own Vision application tool for the ImaSight capture, diagnostic and viewer workstations. The result is a powerful, intuitive set of tools that automatically generates x-ray images, and lets you annotate, comment and enter patient information to quickly complete your exam. All functions are touch-screen-based, to facilitate data entry during the exam. The ImaSight 4600 Digital Radiography System provides hospital-grade, affordable and maintenance-free imaging for any size of practice. And they have recently introduced the ImaSight 3500, a cost-effective solution for smaller practices. Moreover, the ImaSight sensor can be retrofit into existing systems or purchased as a complete system. ImaSight’s client care program includes a full five-year warranty on the sensor and the wall stand, as well as free software upgrades for two years. Inquire about a live web demonstration of their product. We are beginning the distribution of the long-awaited next generation of the DXAnalyzer© family of diagnostic software. It is called the DXAnalyzer.NET© 3.0 software which includes the ability to mark and analyze your patient’s X-rays in the 4th, 5th and 6th Edition of the AMA Guidelines to the Evaluation of Permanent Impairment. We have met every challenge to meet the changing stringent requirements of the Guides. 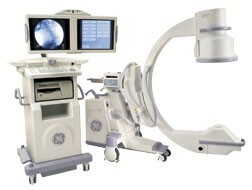 It has more advanced features utilizing the latest in proprietary digitizing, X-ray line-drawing technology. The advancements we included have extended our lead on any other attempts to compete with or exceed what the DXAnalyzer© Professional had previously accomplished. There is a sleek, new look to the software as well. With the advancements in the technology, the DXAnalyzer.NET 3.0 could be your own personal diagnostic laboratory. All major insurance companies have Special Investigative Units (SIU) to provide post-payment review in an effort to recover funds previously paid for treatment. It is essential to contact a compliance consultant to assure proper record keeping has been accomplished. Of equal importance is to obtain scientific, objective evidence to prove your patient’s injuries require care. The reports produced by the DXAnalyzer.NET© 3.0 are invaluable! We will be donating a promotional offering of the DXAnalyzer.NET© 3.0 for FREE to two (2) prequalified Chiropractors per state. It is necessary to act NOW! Now would be the best time to contact us with a written response at www.chiropracticdigitizing.com. You must contact us on or before May 31, 2009 to be eligible. The digital radiography sensor NAOMI is a digital x-ray that is gentle on people and the environment. It does not need any film, chemicals or maintenance. It assists doctors by starting the diagnosis quickly by immediately displaying the image, and cuts down a patient’s waiting time. The x-ray exposure dosage is drastically reduced, and the x-ray examination is gentle enough for babies in the womb. Its x-ray images are crisp and clear. The new Naomi XD3 offers: 1) One of the thinnest CCD sensors on the market today; 2) New carbon plate covering the front panel, reduces outside light interference into the new scintillator (SC); 3) Newly developed SC plate absorbs unnecessary x-ray noise, created by scattered radiation, and only extracts clear light for CCD conversion; 4) New SC plate is thinner therefore reducing the focal length and thus reducing the depth of the Naomi; 5) Newly adopted 3D light shields reduce the incidence of light contamination of the acquired image leaving an image with increased contrast; and 6) Super sensitive CCD with increased fill factor, resulting in more efficient light collection and higher sensitivity. The new Naomi XD has doubled its dynamic range, resulting in a 50 percent increase in its contrast ratio. Its higher sensitivity reduces patient dose. The overall improvements in components have led to a slimmer, lighter, greatly enhanced CCD sensor, better quality images, with all of the same service and durability associated with all of the Naomi products. Spinal Kinetics’ Board-Certified medical radiologists can provide you with technologically driven, accurate spinal ligament assessments that can assist you in determining the most patient effective and cost efficient care paths. Now you can more accurately determine the level of ligamentous instability (laxity), correlate spinal instabilities, determine the location and severity of the spinal sprain and rule in or rule out “Alteration of Motion Segment Integrity” with one test. A chiropractor may be trying to determine the location and severity of the spinal sprain associated with many different “Mechanisms of Injury” in order to determine proper patient treatment. The same provider may be ruling in or out “Alteration of Motion Segment Integrity” in order to make proper “Return to Play” recommendations for patients participating in contact sports. This same information can be utilized to help with impairment determinations and to objectively document the actual injury. These same findings can be utilized in some guidelines for such things as Spinal Fusion Surgery pre-authorizations if conservative care fails and it is determined to be the most effective care path. Having the capability of performing angled views, and the occasional extremity views, has been a challenge in the chiropractic market. TXR has eradicated the challenge by configuring their VertEx system with a tilt mechanism and extended floor and wall tracks. 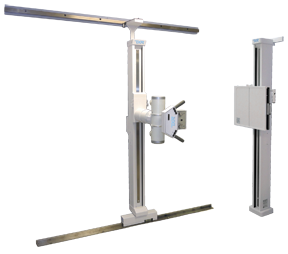 The system configuration with the expanded features accommodates all angled, comfortable extremity and weight bearing imaging. The upright wall stand tilts from plus 90 degrees (horizontal) to minus 42 degrees. When in the horizontal position, the tube can easily be positioned to the center of the cabinet, thereby achieving comfortable imaging of upper and lower extremities. VertEx is configured with affordable DR/flat panel or film/CR imaging, along with a choice of state-of-the-art 32, 40 or 50 kW high frequency generators with Anatomical Programming as a standard feature. With the DR panel, TXR is able to offer true generator integration. This means the x-ray control panel is no longer needed; all functions of the system are handled by the acquisition monitor inside the x-ray room, thus removing time-consuming steps from the imaging procedure. The DR panel provides exceptional image quality, with image presentation in less than 10 seconds. The system presents chiropractors with the technology to manipulate images after they have been acquired, improving diagnostic accuracy and eliminating the need for retakes. To learn more about TXR's VertEx system, call TXR, email them at sales@txr.com or visit online. 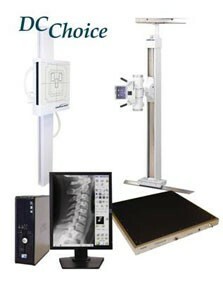 Universal has redesigned and reconfigured their popular DCChoice Chiropractic imaging system. Previously configured with a CCD camera, the DCChoice now offers the latest in flat panel DR technology with a 17” x 17” DR detector housed in their VS200 “Slim Design” wall stand. The 9 megapixel detector captures high resolution images with image preview in less than 1 second. This greatly lessens the time of the x-ray process, allowing you more time for diagnosis and increased patient throughput. Images are displayed on the 19” touch screen monitor and can be viewed and modified for diagnosis with the user-friendly DelWorks Chiropractic Acquisition & Processing Software with key features such as extensive measuring functions, complete generator integration, DICOM Store, Print and MWL, and Advanced Image Processing. More and more chiropractors are making the switch from costly film and bulky CR systems to flat panel DR systems in an effort to keep up with today’s technology. Additionally, the realization of the long term benefits from the time and cost savings achieved by the elimination of film, chemicals and processor maintenance, is making the switch to DR the best practical solution for many chiropractors. Universal has been a trusted name for over 85 years, while always offering the next generation of imaging solutions. 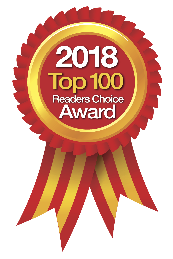 Call us toll free or visit our website for more information on the DCChoice. 3031 Topside Business Park Dr.